A cloud business management system built for medium and larger businesses. In August 2013, MYOB sealed a multi-million dollar deal with Acumatica – the world’s fastest growing provider of cloud-based enterprise resource planning (ERP). As part of the deal, MYOB received exclusive rights to market Acumatica under a new name within the Australian and New Zealand markets. 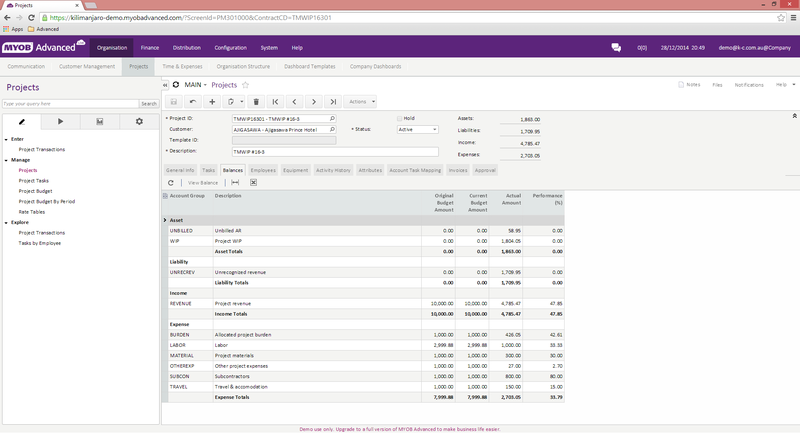 The cloud-based ERP system will be known as MYOB Advanced. What is MYOB Advanced Business? 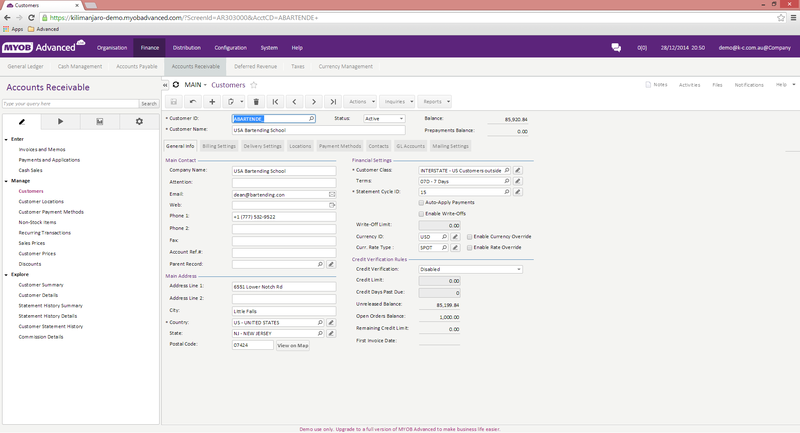 MYOB Advanced is a new cloud-based ERP solution aimed at larger, growing businesses. It is a 100% SaaS (Software as a Service) based system set to transform the way Australian and New Zealand businesses work. 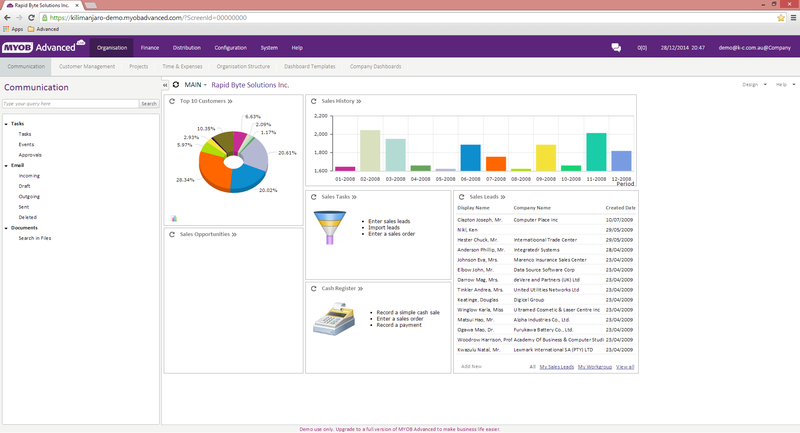 MYOB Advanced is a fully featured business management system that covers the entire business operation, from administration to warehouse and everything in between. The system offers a fully customisable platform for a convenient monthly price. 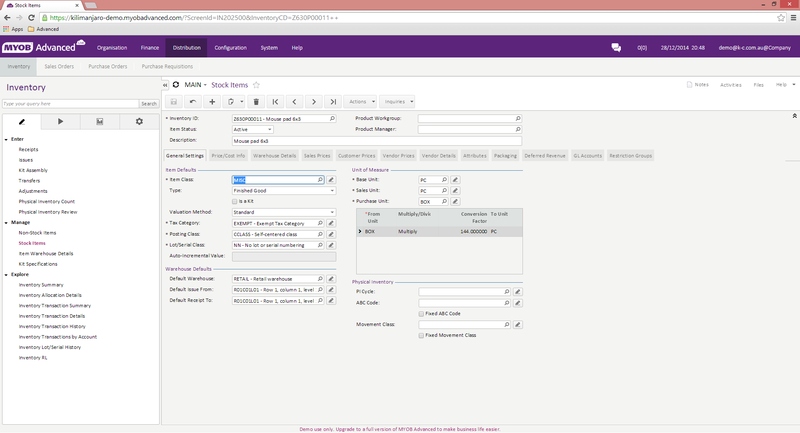 MYOB Advanced is designed to increase work efficiencies. It is perfect for leading-edge businesses who want to reap the benefits of working in the cloud, and reduce hardware costs. Each edition provides different levels of functionality and is designed to support businesses as they grow and their requirements become more complex. With a user-friendly interface and an intuitive dashboard, MYOB Advanced makes it easy for businesses to navigate through the system. It can be accessed anywhere an anytime. Users are able to enter the system through an internet browser on any device. On-premise ERP systems usually involves a substantial upfront cost. With MYOB Advanced, the initial costs are much lower as the system is available for a convenient monthly subscription payment, making it easier to plan and manage business expenses throughout the year. Considering MYOB Advanced offers three different editions, you can change your subscription plan to best suit your changing business needs. As your business grows, so does its complexity and the need to invest in more capable business management software. The fully customisable MYOB Advanced platform is designed to meet your current business requirements while being flexible enough to meet future demands. Developed with integration in mind, it can support growth as your business continues to evolve. Recently, Kilimanjaro concluded an effective implementation for the Museum of Australian Democracy (MoAD) – Old Parliament House, who were facing challenges due to growth and limited reporting capabilities. With MYOB Advanced, the MoAD has a scalable platform to maintain growth and meet upcoming challenges without hesitation. If you prefer a more in-depth look into MYOB Advanced, below is a recording of our latest webinar. We recommend that you watch it in HD version for the best video quality. We’ve created a list of MYOB Advanced FAQs which may clarify some questions you may have. You can also take a look at a library of MYOB Advanced videos which will give you insight into the software functionality. 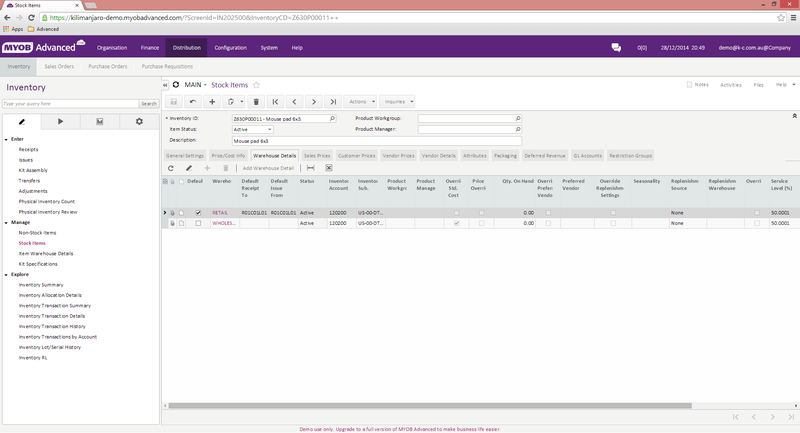 For the most up to date information about MYOB Advanced and Acumatica, see our Press Releases page.